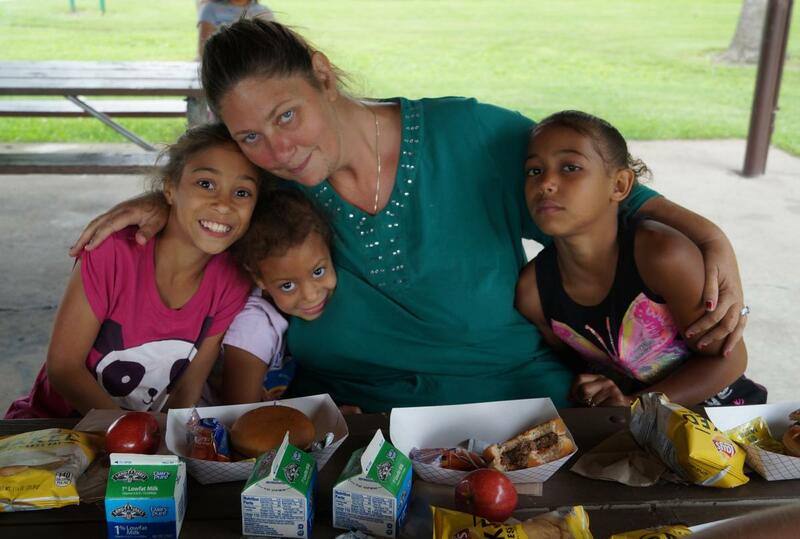 Thank you to our friends from Bismarck and Mandan Public Schools and the Great Plains Food Bank, we helped serve 31,561 meals to children and adults last summer through the SUMMER HUNGER PROGRAM. This year we are ready to do it again! 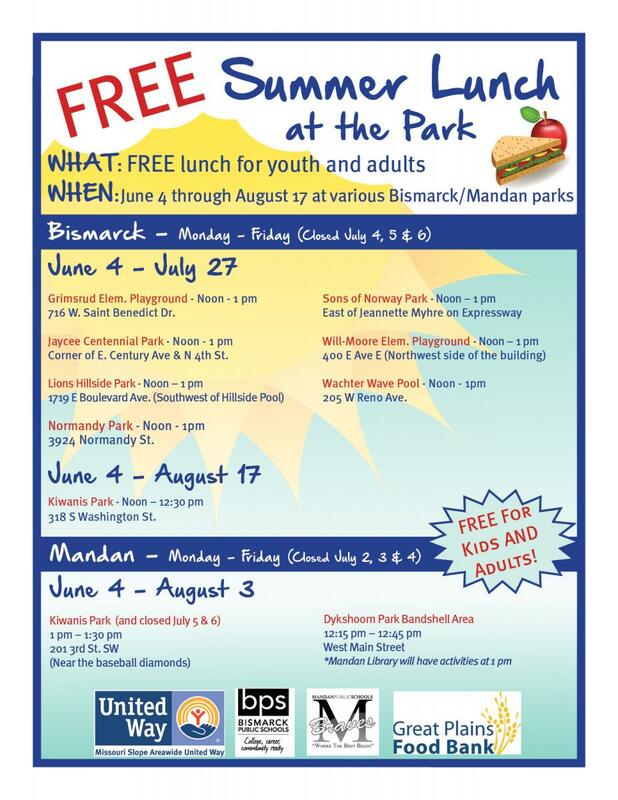 MSA United Way has again teamed up with Bismarck and Mandan Public Schools, and the Great Plains Food Bank to feed children and adults this summer at 10 local parks! Find the park locations and details below. If you are interested in learning more about sponsorship information or getting involved contact Madison.